Pupils will design, create and code a Martian rover using LEGO® Education WeDo 2.0 robotics sets in this hands-on workshop. 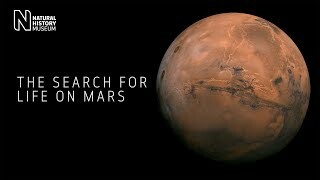 Exploring and understanding Mars has become one of the key challenges in space exploration. From remote sensing to landing rovers, our Museum scientists are actively involved in learning more about the red planet. But how do we study a planet that is millions of miles away? In this workshop, pupils will work in small teams to design and build a LEGO Martian rover. They will then code, test and evaluate their designs. After receiving missions from our scientists, they will have to decide what their rover should investigate and build appropriate tools for the challenge. In a final challenge, pupils will see how their rovers perform on a large-scale realistic Martian surface. To check workshop availability at our Museum in South Kensington, kindly call our school bookings team on +44(0)20 7942 5555. Please read the pre-booking checklist (pdf 69kB) before you phone. Lines are open Monday-Friday from 8.30-16.00. Please read our payment and cancellation conditions before booking. Everything you need to know for a smooth-running day, from where to go for lunch to completing a risk assessment. The rovers have captured the first ever images from the surface of an asteroid. A piece of Martian meteorite is being returned to the red planet by NASA. A meteorite sample from the Museum collection is revealing more about how and when the crust of the Red Planet formed.